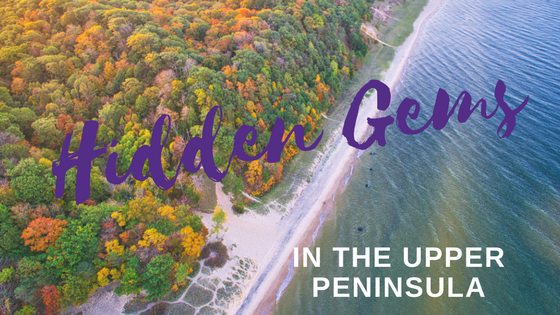 A well-kept secret, Michigan’s upper peninsula is a treasure trove of wonderful things to experience. From the majesty of mother nature to adventures second to none, the U.P. truly offers something for everyone. Whether you are seeking a single destination for your group or even a tour of places you’ve never been before, the U.P. has many hidden gems to share. Here are five to get you thinking about the possibilities! Moving along, Sable Falls in the easternmost part of the Pictured Rocks National Lakeshore is west of scenic Grand Marais and falls 75 feet over several cliffs of sandstone. For the hearty, a trail past the falls will take you down to where Sable Creek flows into Lake Superior. Further west along the Lake Superior shoreline the Munising Falls are a favorite in all seasons. Located within the city of Munising the 50-foot falls offers accessible viewing platforms. Just 15 miles away from Munising you can feast your eyes on Mosquito Falls, a secluded waterfall with three drops of eight feet or less. There are also many more Munising area falls that can be added to your trip. #1 Island Resort & Casino in Harris (west of Escanaba). #2 Kewadin Shores Casino in Saint Ignace. #3 Kewadin Casino in Sault Ste. Marie. #4 Bay Mills Resort & Casino in Brimley. #5 Kewadin Casino in Christmas. Perhaps the best-known U.P. lake cruises are to see the majestic Pictured Rocks, departing from Munising during the warm months. Considered the best way to see the Pictured Rocks National Lakeshore, the 2-3-hour tours will leave you wanting more. Another favorite is the cruise to Isle Royale National Park. Ferries depart from the Keweenaw Peninsula’s Houghton for a six-hour cruise or from Copper Harbor for a shorter three-hour cruise. If you prefer the slap of wind in your sails, try the Coaster II, an historic schooner built in 1933, offering sails as short as two hours or as long as overnight. There are so many things to do outdoors in the U.P. here are just a few that are hard to duplicate. For birders, the Whitefish Point Bird Observatory, north of Paradise on the far eastside of the peninsula, is one of the nation’s premier points to observe migratory birds of all types and sizes. Visitors are welcome, and events are posted on the WPBO website. If you want to really test your mettle in the water, how about whitewater rafting? Yup, no need to go east, the Menominee River is ready to take you on. Check out Northwoods Adventures for more info! Or if a little exercise coupled with a little silent floating is more what you have in mind, try a kayak or canoe trip to view the lakeshore and the lake closeup. Depending upon your desired destination, Trip Advisor ranks several companies to get you going out on the water. Last but by far not least, if your group loves boats, you have to head to Hessel for the incomparable 41st Les Cheneaux Islands Antique Wooden Boat Show and Festival of Crafts. This week-end long event showcases all manner of wooden boats or “woodies,” classic and new, all in tip-top shape and gleaming in the sunshine. For 2018 the show will be held Friday and Saturday August 10-11. This amazing show would make a great beginning or ending to one of the tours above! Need more ideas? Check out our great group trip ideas for more inspiration! While you and your group ponder the possibilities, feel free to contact Indian Trails for assistance or quotes. We are always standing by to help you plan the perfect charter.